Hedy Lamarr's life was punctuated by salacious rumors and public scandal, but it was her stunning looks and classic Hollywood glamour that continuously captivated audiences. Born Hedwig Kiesler, she escaped an unhappy marriage with arms dealer Fritz Mandl in Austria to try her luck in Hollywood, where her striking appearance made her a screen legend. What is it with bad biographers? Best-selling author Simon Winchester offers an enthralling biography of the Pacific Ocean and its role in the modern world, exploring our relationship with this imposing force of nature. Winchester's personal experience is vast and his storytelling second to none. And his historical understanding of the region is formidable, making Pacific a paean to this magnificent sea of beauty, myth, and imagination that is transforming our lives. Only a writer of Richard Rhodes’s caliber could do justice to this remarkable story. Unhappily married to a Nazi arms dealer, Lamarr fled to America at the start of World War II; she brought with her not only her theatrical talent but also a gift for technical innovation. An introduction to Antheil at a Hollywood dinner table culminated in a U.S. patent for a jam- proof radio guidance system for torpedoes - the unlikely duo’s gift to the U.S. war effort. 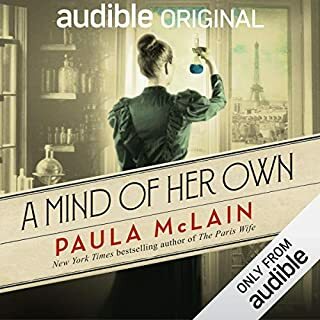 What other book brings together 1920s Paris, player pianos, Nazi weaponry, and digital wireless into one satisfying whole? 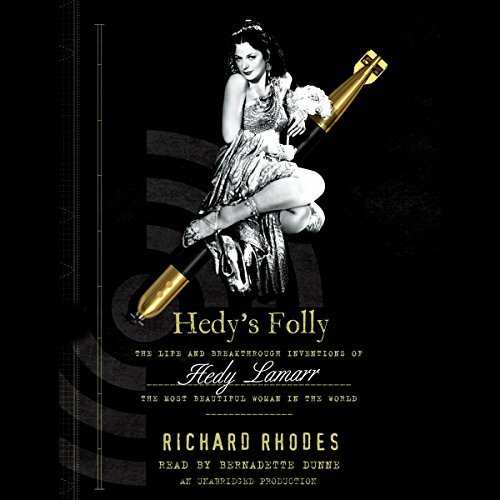 In its juxtaposition of Hollywood glamour with the reality of a brutal war, Hedy’s Folly is a riveting book about unlikely amateur inventors collaborating to change the world. I enjoyed this. the narrator was fine, finally. I've had a bad streak of lackluster readers. 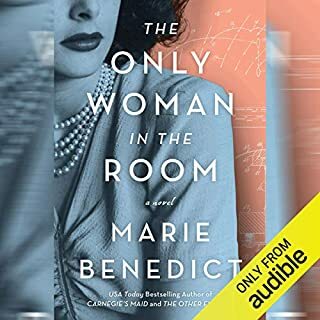 But this story is good and there is a good bit of bio on George Antheil as well (helps to understand what he brings to the device) leading up to his and Hedy's meeting and work on the torpedo problem. (you can sample his Ballet Mechanique in itunes to see what he was up to musically, quite different). but i think the important thing that came across to me was again how short sighted, perhaps in this case misogynistic, men in power were and can be. anyone with the guts and the intelligence to realize what Hedy and Antheil devised could have appreciable shortened WW2. Not to mention kickstarted our electronic age 40 years earlier. It made me think of the Tesla bio Wizard and what a different world we could be living in right now. You don't get a sense of that aspect until the wrap up and that's not what this bio is about except tangentially. But the ideas are presented in a manner that makes them accessible to the layman. 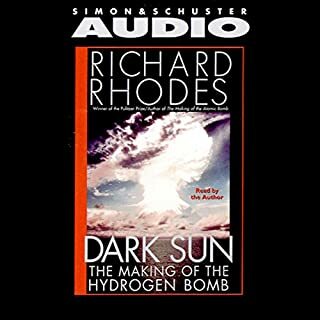 the first half is very much the bio aspects of the 2, but the whole thing moves quickly and is short as well so i can recommend it. and to think that her/their ideas, if they had retained the patent, could have made them billions. Would you try another book from Richard Rhodes and/or Bernadette Dunne? Who would you have cast as narrator instead of Bernadette Dunne? She was okay, it was the material. Want gossip about the marriages and divorces of 1930s and 40s screen stars? A DETAILED bio of George Antheil? This may be your book. With ONE exception, Hedy Lamar's inventions remain a secret until they're quickly listed in an Afterword. I had thought the whole point of the book was her "Breakthrough Inventions." Rambling, gossipy string of precise but irrelevant dates and details about OTHERS. I can't believe I sat through the whole thing. There is a lot of time spent on the biography of her co-inventor Henteil, to the point that I actually checked to make sure I had downloaded the correct biography. Otherwise it's a good book, especially well-performed. Dull, painfully dreadfully dull. Richard !?! I didn't think until now, Richard Rhodes was capable of such bland work. I am a huge fan, I'll give him another shot. Bernadette Dunne was just okay I wouldn't look for her as a narrator. What was most disappointing about Richard Rhodes’s story? This book was unfocused, covering too many topics leaving nothing of depth. 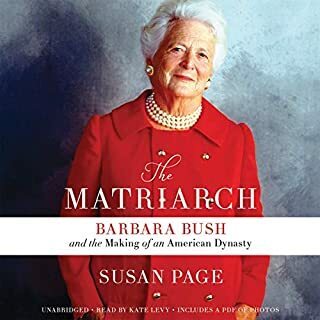 Considering the scrupulous research that comprised "The Making of the Atomic Bomb" I can only assume there was not enough reliable information to make her story into a book. I'm neutral about the narrator, she was serviceable, but she didn't add to the story. If you could play editor, what scene or scenes would you have cut from Hedy's Folly? It's easier to say what I would have left in; Hedy's invention, more facts and anecdotes regarding the reaction to it, her feelings about it being dismissed, less supposition about what *may* have transpired. Practically everything in this book was a revelation to me. Rhode's presentation of Hedy's life and personality was wonderful. 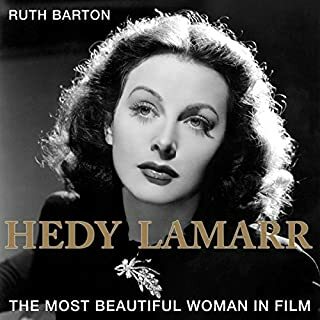 The book is about equally a biography of Hedy and George Antheil. Learned later about the recent revival of his music which is very interesting. Bernadette's reading is also very good. No. It took everything to get through this book. 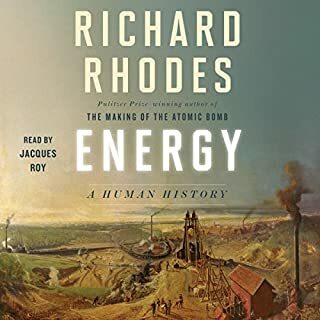 Would you ever listen to anything by Richard Rhodes again? Would you be willing to try another one of Bernadette Dunne’s performances? There was so much promise with this book, but the author punted it away. I would love someone else to try this subject. Features longstanding could have been developed more fully. Stability has improved and that is much appreciated. What would have made Hedy's Folly better? Thought I was going to read a bio of Hedy, but there was so much about other characters, I found it utterly boring. This is the only book that I can recall not finishing. If you could sum up Hedy's Folly in three words, what would they be? The personality of a fascinating lady is well presented. What about Bernadette Dunne’s performance did you like? A fascinating glimpse of a brilliant and beautiful woman and the time she lived in. I recommend this whole-heatedly.